the evaluation of the correlation between the results obtained with the CDR BeerLab® and those obtained with the official methods of analysis on the parameters relating to the quality control of water used in brewing. considered statistically significant with a p-value < 0,05. Lactic acid: evaluation of the comparison between CDR BeerLab® and enzymatic kit from Megazyme (EBC method 9.34). 28 beers have been analyzed. Different brands and beer styles have been considered in order to cover a wide range of values for the tested parameters. In order to perform the analysis of fermentable sugars and evaluate the correlation of the analytical result obtained by HPLC analysis and that by CDR BeerLab®, twelve different musts were produced with different mash temperatures and formulations. In order to perform FAN analysis and evaluate the correlation of the analytical result obtained with the official analysis and that by CDR BeerLab®, six different musts were produced with different concentrations and formulations. 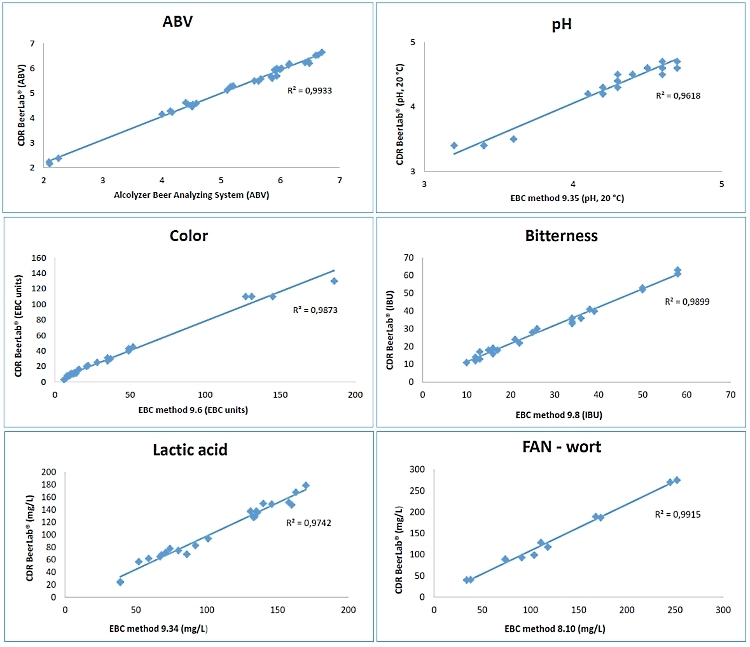 The methods of CDR BeerLab® for beer analysis provided statistically correlated results (p <0.05) with low standard deviation values indicating good accuracy. analyzed in order to cover a wide range of water parameters. 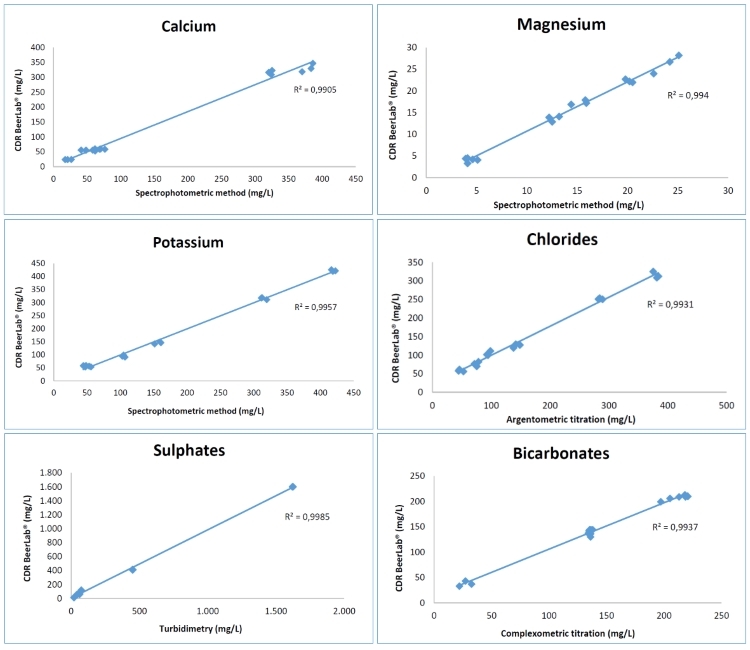 The methods of CDR BeerLab® for water analysis provided statistically correlated results (p <0.05) with low standard deviation values indicating good accuracy. 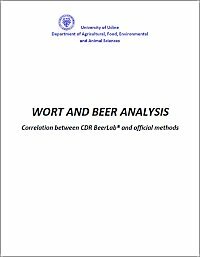 Download full study “WORT, BEER and WATER ANALYSIS Correlation between CDR BeerLab® and official methods” carried out by Department of Agricultural, Food, Environmental and Animal Sciences of University of Udine (Italy) performed under the guidance of Dr. Stefano Buiatti. Correlation between CDR BeerLab® and official methods for analysis of Beer, Wort and Water was last modified: February 21st, 2019 by CDR s.r.l.